Turn your house into a winter wonderland with a great selection of cool-season annuals. They have blooms that open from fall through winter, giving your winter landscape a splash of color. 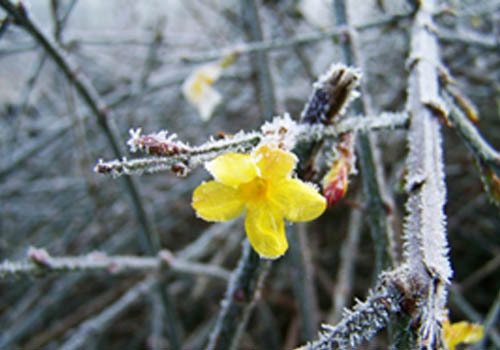 Here’s a good selection of winter-flowering annuals. All can hold their own in pots or planting beds in winter, unless otherwise stated. 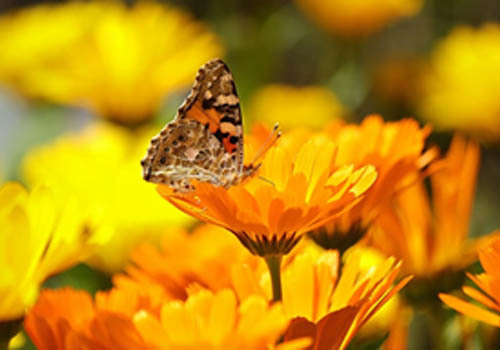 Often referred to as Mary’s Gold, this daisy-like flower can bring a variety of colors, including its traditional golden yellow color, deep orange, a variety of pastel hues, and bicolor blends from late fall to spring. They have the ability to self-sow. You can pinch the seedlings to encourage branching and more blooms to grow. You can also remove spent blossoms to promote more flowers to form. 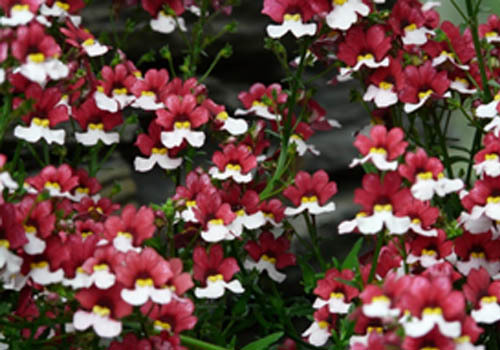 They have snapdragon-like blooms that provide strong colors for beds. They like consistently-moist soil and are very low-maintenance as they don’t need spent blossoms removed to grow new ones. They are available in many shades such as purple, blue, yellow, white, red, and many different hues in between those shades. They provide gray days with sweet fragrances and vibrant colors. 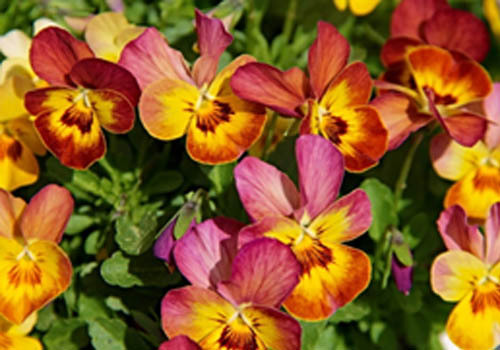 Violas are smaller than their relative, the pansies, but have relatively more flowers per plant. Both are available in a wide range of colors such as blue, yellow, white, and cream. They are also available in bi-colored varieties. You can pick the flowers to extend their blooms. They beautifully stand out in the winter landscape with their slender, willowy stems. They are unscented and have bright, yellow flowers that appear during winter or early, cold springs before glossy, three-leafleted leaves unfurl. Train the vines to grow up a trellis or a wall and they will grow to 15 feet tall. They reach 4 feet high and 7 feet wide if they are left unsupported. Keep them tidy by cutting back before spring growth and pinch as needed. They form carpet-like blooms of color in shades of white, purple, pink, and apricot. They make great edgings. 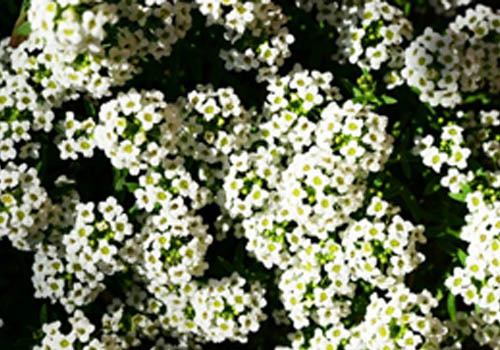 They are fragrant and they thrive in rock gardens or tucked between flagstones. Keep them in well-drained soil. 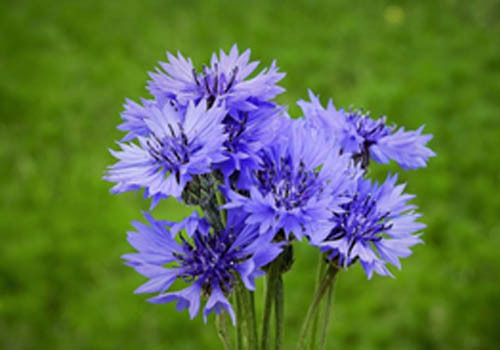 They have ruffled blue blooms that create carefree drifts of color that are perfect for planting beds. They also come in lavender, dark maroon, pink, and white, ideal for bouquets. They self-sow freely. Remove the spent flowers if you want to limit self-sowing. Look for seedlings to propagate.